This month sees firstwriter.com offer a new service to help writers promote their books, and the delay of the deadline for the Second International Short Story Contest. 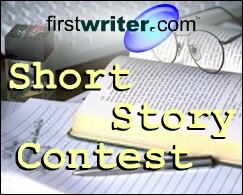 To allow for final late entries, the deadline for the Second International Short Story Contest has been put back from April 1, 2006, to May 1, 2006. First prize is £200 and ten Special Commendations will also receive a firstwriter.com voucher worth $30 / £20 / EUR30, as well as being published in firstwriter.magazine. To submit your entries click here. The new book promotion service on offer from firstwriter.com takes the form of a course to help you understand how to improve your book sales, and is aimed at anyone with a published work. Whether your book is published by the small press, a large commercial publisher, or at your own expense, every author can benefit from learning the necessary skills to effectively promote your publication. The class offers one-on-one assistance via email on your personal branding. Your website and personal branding will be evaluated and classes are taught online, with open discussion allowed for maximum learning. The course is offered in partnership with Lisa Renee Jones and Blue Moon Communications. Lisa Renee Jones, herself a published writer, will be your primary instructor, and Theresa Meyers (President, Blue Moon Communications) will be consulting, answering questions and helping with special student needs. For more details about the course, or to sign up, click here. Three years ago, I finally completed writing my novel Life Gates which took me almost four years, during which time I experienced individual states of emotion due to the main protagonist’s intimacy with me, the author. When resumed, I passed it to a well-known local American editor for review, a service for which I obviously had to pay good money. Simultaneously, I launched a search for a publisher and literary agencies. Within a while, I traced a local publisher and literary agent in Israel, but since they intended to cut major parts of the story (the book counts some 400 pages) I rejected their offer and felt enticed by self-publishing. Among the many publishers, I felt at ease with Llumina Press, perhaps because Mrs Greenspan, Llumina’s owner, was a Jew and also knew how to present things to a "novice" like me. After reading few chapters of the book, she declared to me that the story was extremely interesting, but she wouldn’t take it unless it underwent editing by one of her editors. I blindly agreed with her and after finalising the price for this second editing I emailed her the entire novel. She charged me in fact almost US$2,200 for 280 pages. The second volume of the book was passed to a well-known Israeli author who did the editing. Then, I had a hell of a time with the publisher’s editor. I received files with incorrect English, with spelling mistakes and the worst sequence was to discover that the contents and events were twisted incomprehensibly. I spent nights and days in restoring the story and correcting the mistakes. When I reported that to Mrs Greenspan, she confessed that the best editor for this job was herself, but since she didn’t have the time required, she transferred it to another professional. After several months of an active "come and go" with the corrections, the book looked more or less ready to be published. I purchased the best publishing package and received for my money a short press-release which I had to fax or email to the endless list of newspapers, TV, and radio addresses which was given to me as soon as I paid for the publishing package. I must mention that the list included all kinds of newspapers (Llumina Media's list had 105 pages, both local and national newspapers, and not specifically related to books, etc.). Although feeling stupid and knowing ahead its inadequacy, I began sending them the short press-release. As for the rest of the package, I had to forget all about it, because Mrs Greenspan ignored me absolutely and disregarded my incessant demands for the cards and the rest of the package, etc. Prior to publishing, Mrs Greenspan assured me that she prints her books only with Lightning Source and that I could at any time apply directly and get from them the accurate quantity of printed books. When I did, I was politely referred to Llumina Press with mention that the only person allowed to know how many books were printed was Mrs Greenspan herself. Mrs Greenspan obviously denied this but didn’t raise a single finger to authorise Lightning Source to forward to me the quantity of books printed. At a later stage, I was informed indirectly that she was using other printing facilities. Some of my friends ordered Life Gates directly from Llumina and they had to wait weeks before they received the book or had to ask me to interfere and urge Llumina to supply the book for which they were charged a long time ago, but which they couldn’t get. After many phone calls and seeing that I was in fact dealing with very strange people, I asked Mrs Greenspan to cease the publishing and to withdraw the book from all the media. I even hired a lawyer and asked him to send her a warning letter asking her to “cease and desist from all further marketing, sale and/or activities pertaining to Life Gates by Therese Dvir". The bottom line, however, is that you can still find this book under the very odd publisher at biggerbooks.com, ecampus.com, amazon.ca, amazon.co.uk, Bookplace Ltd via Abebooks, and obviously at Llumina Press.Com. Every time I phoned and asked Mrs Greenspan why my book is still appearing everywhere, she always replies that it takes time (we are talking about two years now), before you can erase a book from the media channels and book stores. I have recently hired a New York lawyer and asked him to deal with this matter the way he thinks suitable. In recent days and while reading the final version of the book, I pitifully discovered that there were still many mistakes which I personally had to correct. Therese (Zrihen) Dvir is an Israeli-Canadian citizen, born in Morocco. She has lived in Israel since 1967, and has three children, all of whom are over 20 years old. Her book The Challenge (Biography and works of Eitan Dvir, artist painter) was published in 1984, and her website can be visited at http://www.freewebs.com/therese-dvir/. Every year since 2001, Dr. Thompkins has attended the Maui Writers Conference. He is a graduate of the Maui Screenwriters Program taught by Chris Vogler, author of The Writer’s Journey and Dr. Thompkins’s mentor and friend. 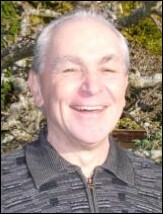 The Next John Lennon, the original title of Gun Play, was a Finalist in the prestigious 2004 Rupert Hughes Contest awarded each year at Maui. Cinnamon Press is offering awards for poetry and novel writing. The awards include prizes of £100 and £500 respectively, plus book publication for the winners. Chimurenga Magazine is calling for submissions for its next issue, (vol 9, May 2006): "Conversations in Luanda and Other Graphic Stories". Comic creators are invited to submit original pieces, or excerpts from work-in-progress. The magazine also has a stock of stories, essays and interviews to be "adapted" into comics/graphic stories. Contact for details. Estimated deadline for submissions for the next issue is end of March, with other upcoming issues including Indians and Africa, Dressed to Kill, Futbol and Politricks, and Amandla Intifada. For more details go to www.chimurenga.co.za. The ancient art of letter writing acquires a new twist in a writing contest that remembers and celebrates the gifts of mothers. The Dear Mom Writing Contest offers novice and professional writers alike the chance to express gratitude and love that honours their own mother. coachingparents.com. Entries may be submitted between March 1 and June 1, 2006. For additional information, contact GCG Worldwide at +1 (917) 224-6782. A poetry conference is scheduled to be held at Inglis House on April 1, 2006, entitled "Poetry & Disability: Unleashing the Art". The morning will feature readings and discussions from published poets, followed by an afternoon offering a range of workshops to be enjoyed by the able-bodied and those with disabilities alike. Conference registration is $5. Box lunch is provided with admission. For more information about the featured poets or to download a registration form, click here, or call +1 (215) 581-0709 (TDD +1 (215) 581-0676). Brady Magazine has launched a syndication service for writing-related websites: the online publication's writing news, calls for submissions, and contest listings are now available for other writing websites to post free of charge.